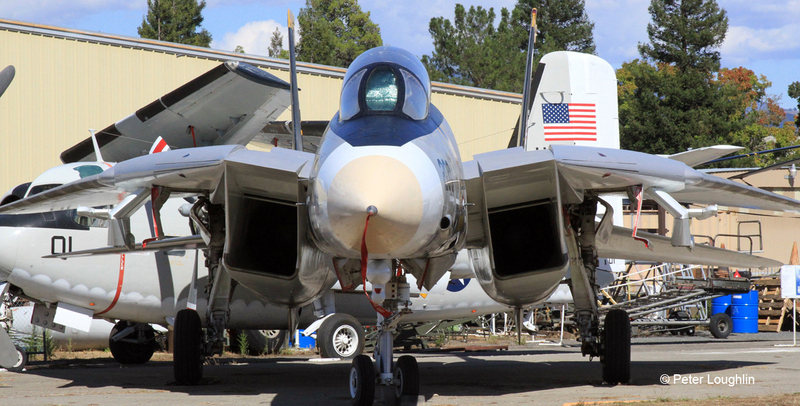 The F-14A Tomcat on the field at the Pacific Coast Air Museum. 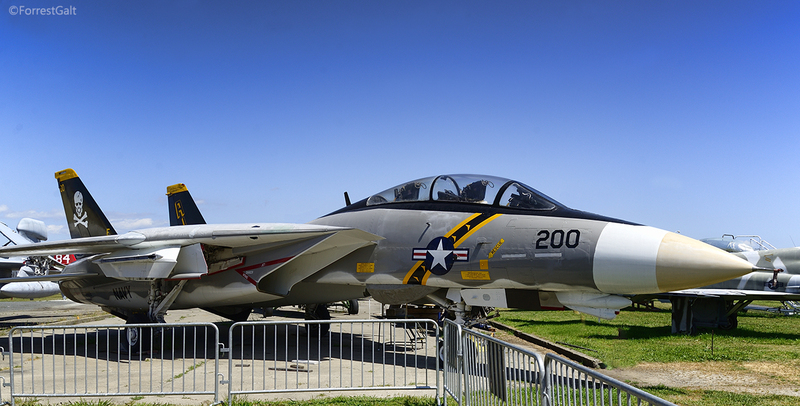 The Tomcat was the mainstay air superiority fighter of the US Navy from 1974 until 2006. 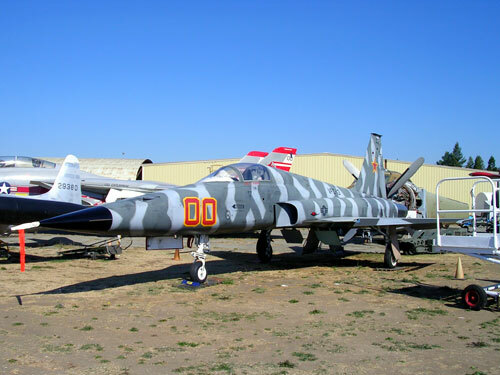 During its 32 years in service, it earned a reputation as one of the most awe-inspiring combat planes of all time. 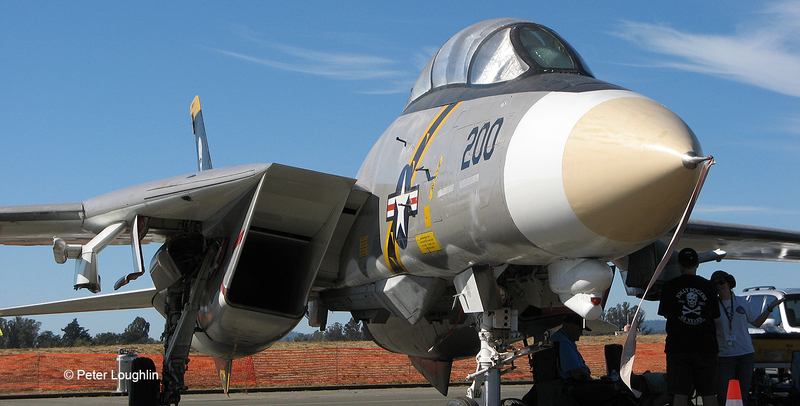 The Tomcat's variable geometry "swing-wing" design allowed the wings to swing forward to allow slower speeds for landing and takeoff, and to swing back into a delta shape for high-speed supersonic flight. 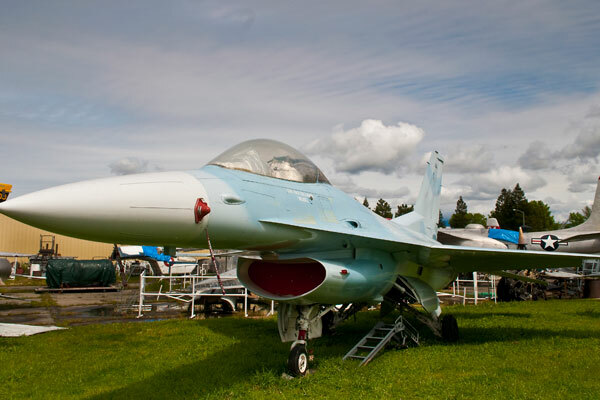 The Tomcat was a dogfighter, and was armed with an internal 20mm revolving cannon and various missiles on external pylons. 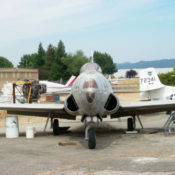 The gun muzzle was on the lower left side of the nose, behind the small fairing. 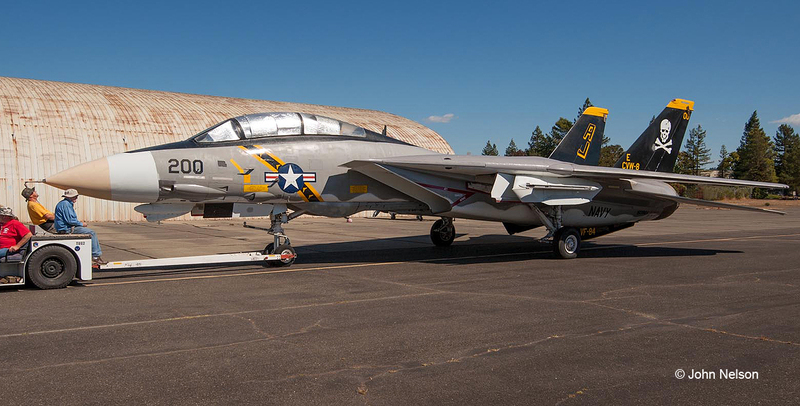 Rumors abound that PCAM's Tomcat participated in filming the 1986 blockbuster movie "Top Gun" starring Tom Cruise. These rumors are incorrect. 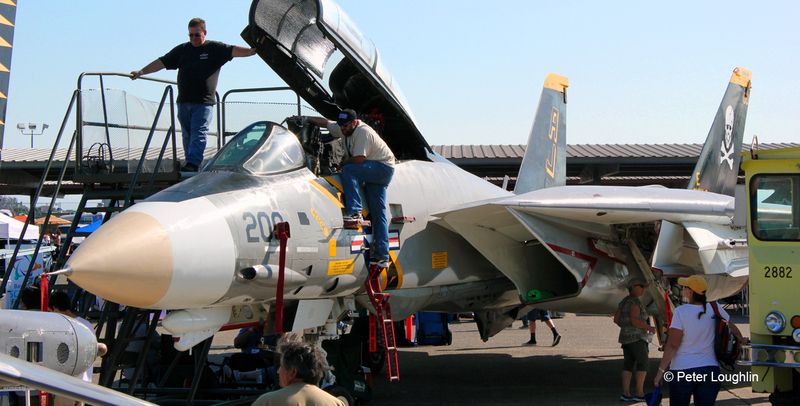 Our F-14 Tomcat (160889) assigned to VF-24 on board the USS Kitty Hawk for a Western Pacific Ocean and Indian Ocean cruise while the movie was being made. 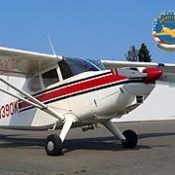 This aircraft served long an honorably and its record needs no Hollywood embellishments. 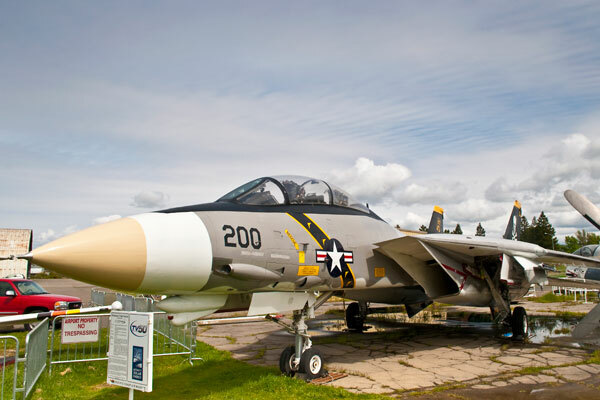 The Tomcat was powered by two General Electric F110-GE-400 afterburning turbofans and could reach speeds of Mach 2.34, or 1,544 mph. Disposable: Various air-to-air guided missiles. Various guided and free-fall bombs, targeting pods, and drop tanks. 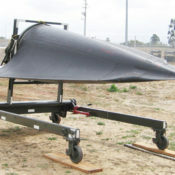 Disposable ordnance is carried on four under fuselage points and on two hardpoints under the inner portions of the wings, up to a maximum weight of 6,577kg (14,500lb).